Adding pets as members of the family could bring a lot of positive things like their presence around the room could push away negative energy and take away the worries of some members of the family. However, if you’re personally planning to adopt one and make it your own, know that it includes important factors to consider. 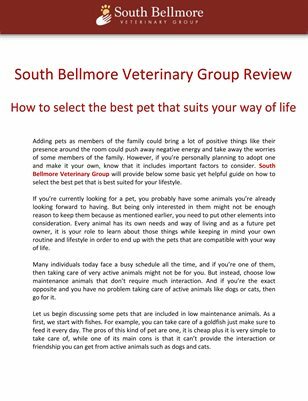 South Bellmore Veterinary Group will provide below some basic yet helpful guide on how to select the best pet that is best suited for your lifestyle.